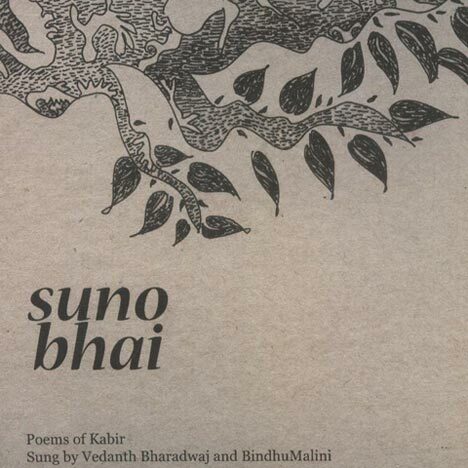 Suno Bhai | Vedanth and Bindhumalini | OK Listen! This is the second album made by Vedanth after his first one Maati Kahe. He had decided to work on Kabir songs after being totally moved by Kumar Gandharv's rendition of Kabir's songs and also through the songs he had learnt from his Guru Rammurthy Rao. As he was working on the album, he felt it would be more fun to have company and he immediately called me (BindhuMalini) from Bangalore to come and join him in this project. I just plunged at the opportunity. Its music and fun. What else can one ask for? Thus began the journey together and Suno Bhai is there as a result of it. It has been an enriching journey and it was much more than just our efforts.